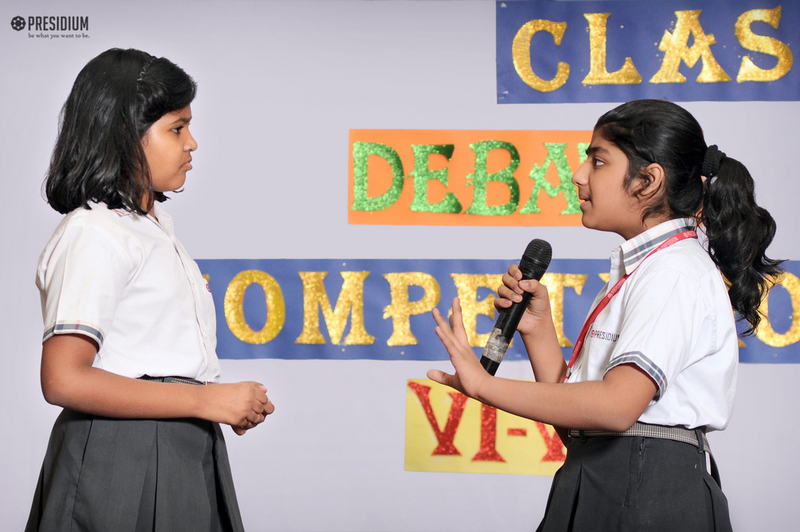 by logic.’ Debate is one of the academic activities that give students creative room to express what they feel. The length and breadth of knowledge that they gain through this is simply amazing. 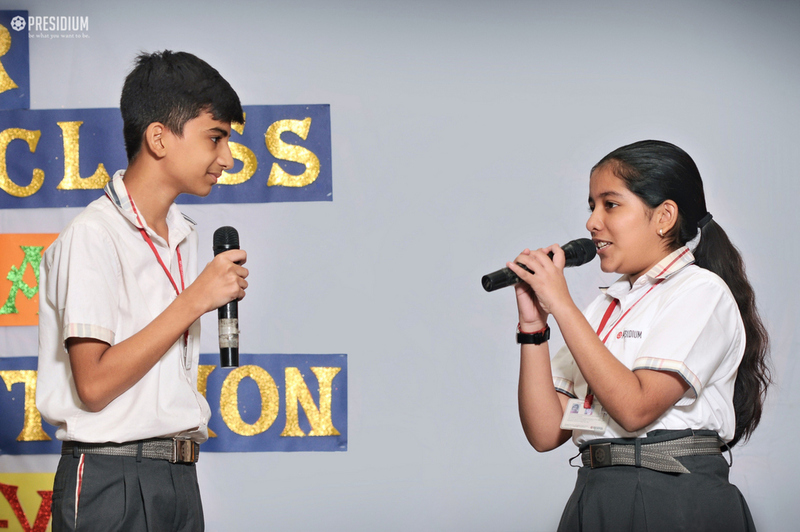 Presidium Raj Nagar has set the benchmark for conducting activities in such a way that the students not only enjoy but also learn a great deal from it. 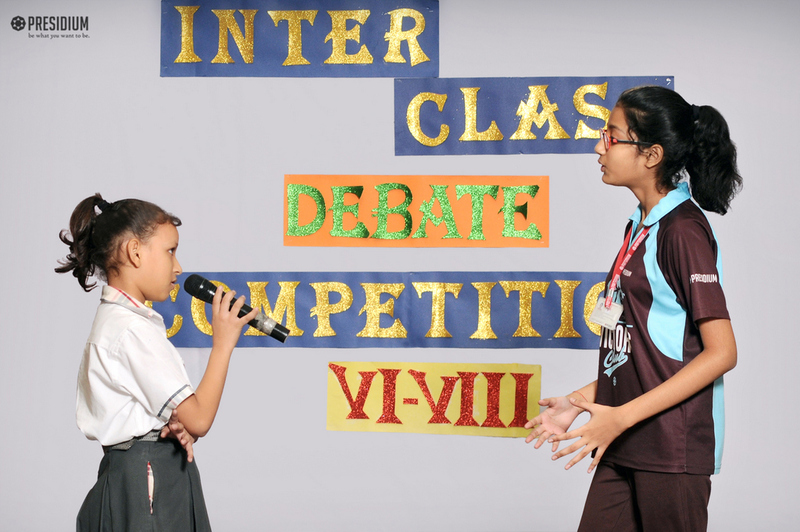 With the same perspective in view, the Inter- Class Debate Competition was recently organised. 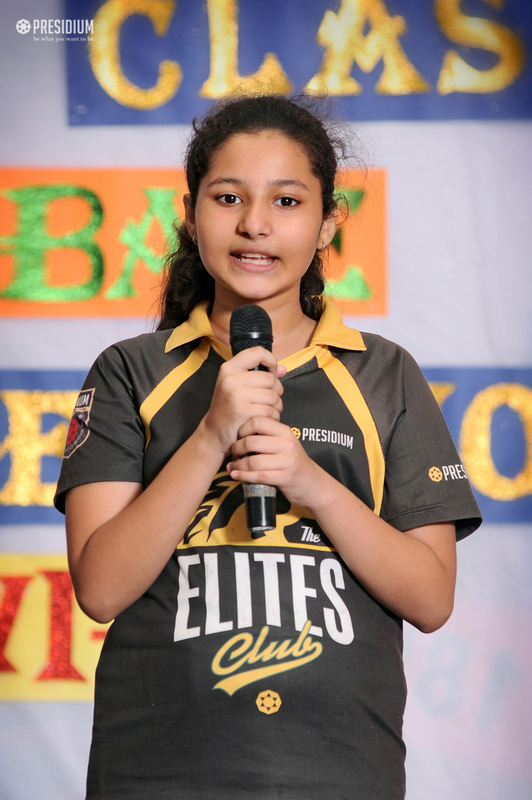 The teams were well prepared and displayed their rhetorical skills The participants, armed with statistics and data validated and made their arguments more emphatic with right facial expressions, body movements and gestures. 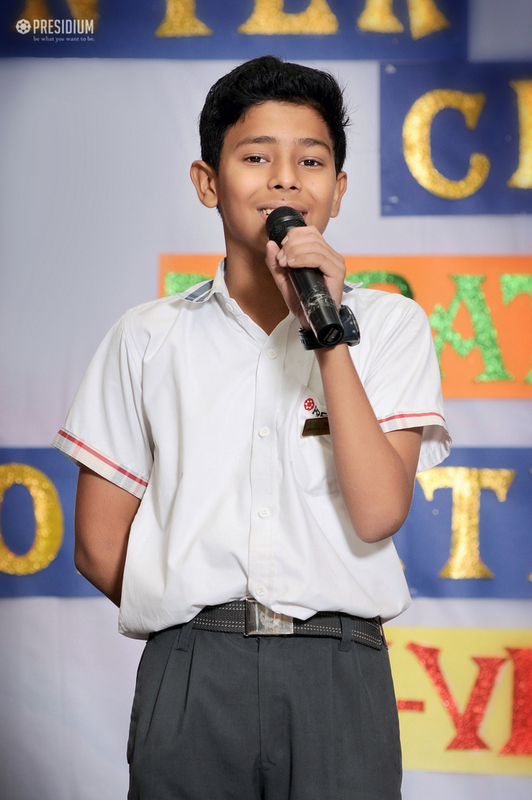 All the teams exhibited great oratorical skills. 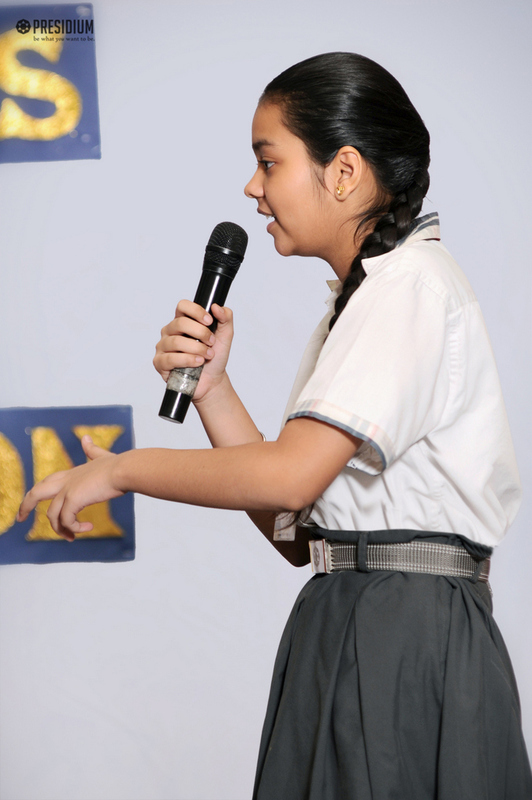 They put in tremendous hard work to showcase their hidden talent. 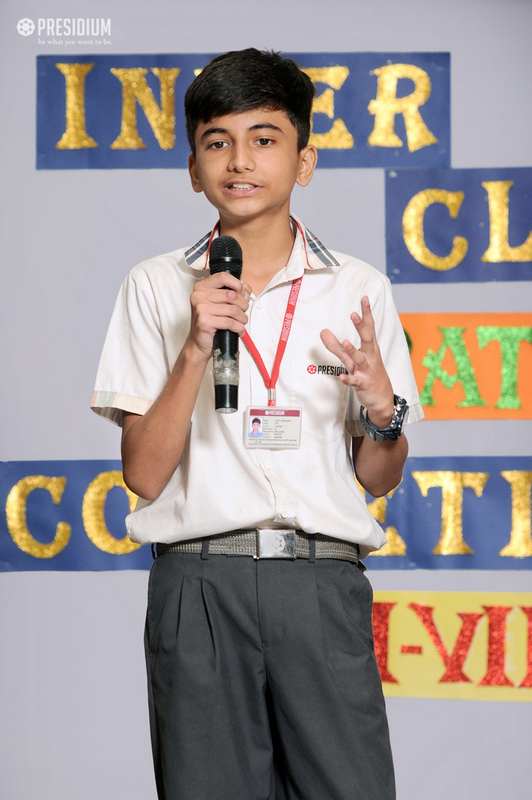 The debaters displayed confidence in presenting their arguments before audience and a panel of eminent jury members.